You come here to learn a little bit about DPS Esper? Well you came to the right place. My name is Daruka and this is my Esper DPS guide. The main focus of this guide will be PvE and Raiding. If that sounds like your cup of tea then sit back and read up there’s a lot to learn! Feel free to post questions here or the official forums as I will be keeping with both threads. Espers are Masters of psionic illusion, using the power of their minds to conjure deadly apparitions and extrasensory weaponry! When it comes to mass butchery, it’s the thought that counts! While others waste time swinging clunky metal swords at you, you’ll be ventilating them with an indestructible wit-sharpened stiletto forged from 100% superego! Unlike their flimsy milquetoast steel counterparts, your psi-blade projections be flung with deadly abandon among your cerebrally disadvantaged victims! Brain power never felt so good! Esper are a light armor class. As an Esper you have four races to chose from. Exiles have human and aurin. Dominion have cassian and chua. You can chose any race you enjoy. Individual races do not affect stats or abilities in any way. There are four paths to choose from: Explorer, Soldier, Settler and Scientist. Each path has its own unique abilities. Paths do not affect individual player stats or abilities in any way. 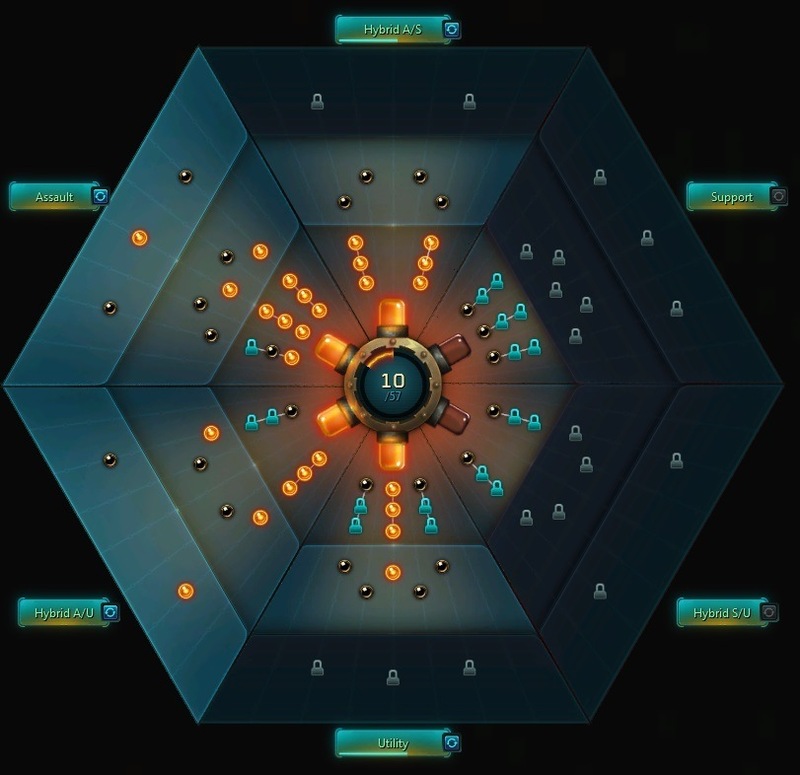 Soldier can provide bailout to move the raid to the entrance of the instance, this can help in making the raid move faster between areas or allow an encounter reset without everybody having to die. Settler can provide campfires which give a max health boost to raid members for a slight increase in survivabilty. They also can set down vendor bots for repairs. 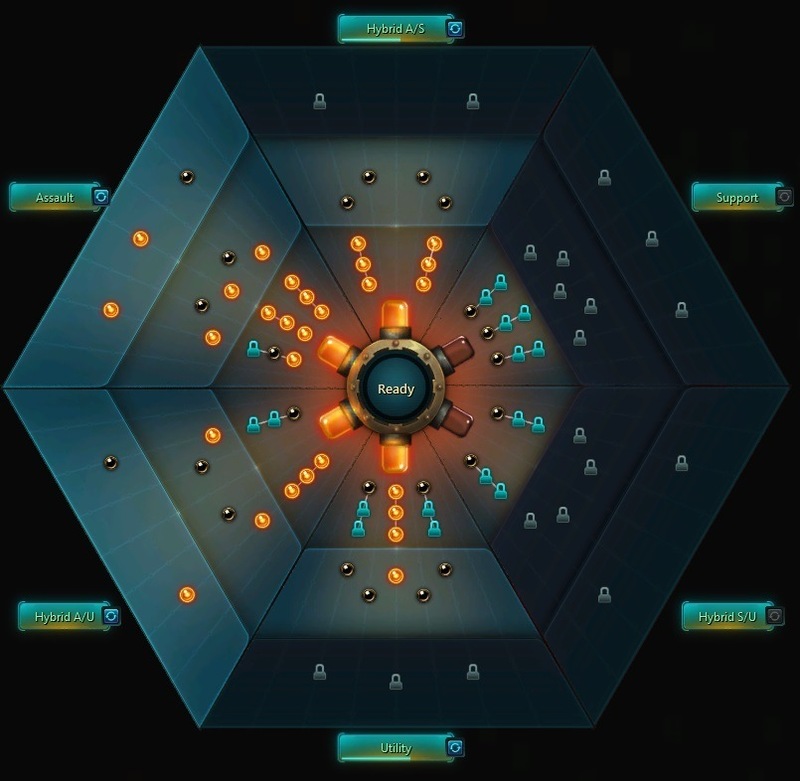 Scientist provides a group summoning ability which makes instance navigation easier and helps getting everyone in the raid to the same spot quickly. Does not provide any raid benefits. Both translocate beacon and jetpack jump are not usable inside raid instances. The Esper has two types of resources. Psi Points and Focus. Psi Points are DPS Espers main resource. It works much like combo points in similar games. Focus is the healers main resource and is like mana in other games. Focus is spent when using support abilities. As an Esper DPS you should not have to worry about this resource. Psi Points are generated by casting builder spells. (Telekinetic Strike or Psychic Frenzy). Psi Points can be built up to a maximum of five. When you get to five psi points you want to cast a finisher spell. (Mind Burst or Telekinetic storm). When you cast your finisher it uses all of your available psi points and are strongest at five points. Some enemy mobs within the game have Interrupt armor on them. Using a CC ability you can remove an interrupt armor. Using abilities such as crush, incapacitate or Shockwave can remove 1 Interrupt armor each. At Tier 4 crush can remove 2 interrupt armor. Depending on spec, Espers can have up to 4 interrupt armor removal. You cast your CC abilities when a mob/boss is casting an interrupt-able spell/telegraph. If a mob has 2 interrupt armor you need 2 interrupts to remove the armor then one additional interrupt to stun the mob for a total of 3 interrupts needed. You also need to time your interrupts to hit within a short period of time. If you wait too long to get all interrupts casted the armor can regenerate. A Moment of opportunity happens when you successfully interrupt a casted ability from a mob/boss. The health bar will turn purple and stun them for a few seconds (length depends on mob/boss) They will also take increased damage while in the MoO. 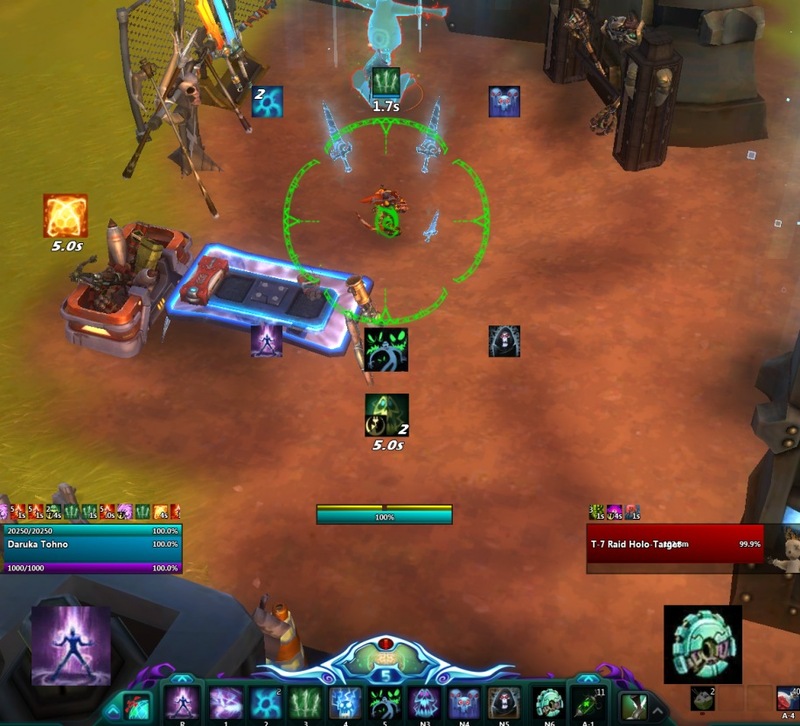 Leveling in Wildstar is much like other MMO games. You get quests, kill x, collect x and then complete the quest for reward/xp. As you level you should focus mostly on survivablity over straight damage. I think some might be surprised that the Esper is a very beefy class when it comes to survivablity. We might be a light armor class but we have a ton of abilities that provide us lifesteal and reduce damage making Espers very adept at soloing content. Psychic Frenzy I feel is your best builder for leveling due to the lifesteal at Tier 4. Once you start getting more amp/ability points you can grab Spectral swarm Tier 4 and Geist Tier 4. combined with your lifesteal amps you can be very tanky. Learn to use is your crowd control abilities. Your best spells for this are crush, incapacitate and restraint. These spells were invaluable to me when leveling my Esper. Healing spells should generally not be needed while leveling if you are taking the life steal build. But if you feel safer with a heal on your bar I would recommend Mind over Body as an off heal or to top your health off before you move to the next fight. 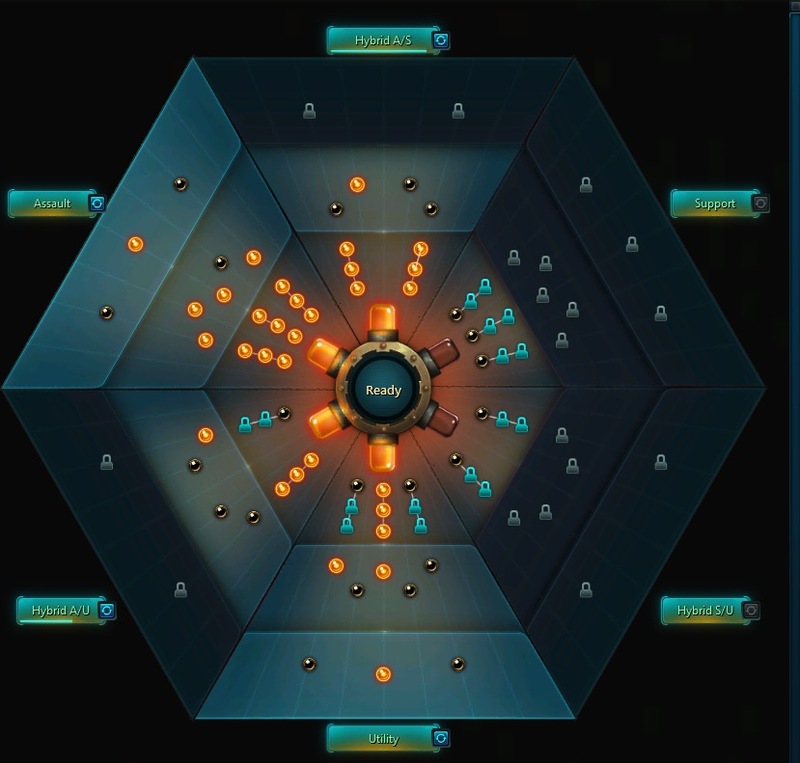 Experiment and learn the individual skills to see how they work and figure out what fits your play style. Most importantly have fun! Strikethrough: Reduces the chance foes have to deflect your attacks. Strikethrough that exceeds a foe's deflect rate is converted into armor pierce. Multi-Hit Severity: Percent of damage granted from Multi-Hit. Armor Pierce: Your attacks ignore x percent of the foe's mitigation. Strikethrough up to your cap. 8% dungeons, 12% Genetic Archives, 17% Datascape. I recommend taking the crit build if you are going to be mostly playing the ranged build. And is the more flexible stat choice if you play both ranged and melee. Critical hit into the 18-22% range is good. Critical hit severity > Vigor > Multi-Hit. The Multi-Hit variation is best with the melee build. Multi-Hit > Vigor > Critical hit severity. Espers don’t so much have a rotation as a priority order, however its a fairly simple priority set up. Opener: Mash all the buttons and get everything on cooldown as soon as possible then just follow the priority order. 1) Reap and Spectral Swarm are completely off of the GCD and should always be cast on cooldown. 2) Haunt should always be cast on cooldown. 3) Spectral Form(innate) and Gadget should typically be cast on cooldown. 4) Concentrated Blades should always be cast one charge during the GCD after casting a finisher. 5) Your builder(s) (Tkstrike/Frenzy) are your fillers and should be cast whenever you cannot cast other abilities. 6) Always cast your finisher at 5 Psi Points. The melee rotation revolves primarily around keeping up your Illusionary Blades buff. But for the most part rotates similar to ranged outside of the channeling time for Blade dance. Opener: Mash all the buttons and get everything on cooldown as soon as possible, stack Illusionary blades to 5 then follow the priority order. 1) Reap and Spectral Swarm are completely off the GCD and should always be cast on cooldown. 2) Haunt and Concentrated Blades can be cast on cooldown. 4) Illusionary Blades should be cast every 7 seconds to keep your stacks at 5. 5) Always Blade Dance at 5 Psi Points and with at least 2 seconds left on your Illusionary Blades buff. Casting Interrupts or restraint will stop you from channeling Blade Dance. Sprinting and/or jumping will cancel channeling Blade Dance. You have a 1 second window at the end of your Illusionary blades buff to bring stacks back up to 5. The key is to hard cast Illusionary blades as little as possible during a fight. Other casts can be hidden in a Frenzy right after the hard cast when the last two blades are being swung. Innate and Gadget can line up and you can get 2 blade dance casts off in the gadget window, 3 if everything lines up perfectly. There is a bit of a learning curve to the rotation and something that will have to be played with to learn the rhythm. This class takes time to perfect the feel of the how the spells link together. Rune sets can be added to single pieces of gear. So keep in mind when going for your 8 sets all of those set runes should be on one single piece of gear. Both devastation and onslaught can be stacked on multiple pieces of gear. For legendary gear with 5 slots you are looking for 6/6 devastation (3 exceptional runes) and 2/6 Onslaught (1 exceptional rune) either strikethrough or vigor depending on where your strikethrough cap is. - Class Rune Sets can only acquired once. - Neutral Rune Sets bonuses can exist in multiple slots (and stack with each other). - You cannot have Duplicate Runes of a Set in an item. If you want to make 8pc, you either need to use 4 Different Exceptional (2x) Runes, or 3 Different Exceptional and 2 Different Standard (1x) Runes. Level 120 runes are divine runes. Level 100 runes are pure runes. level 80 runes are superb runes. Rune slots can be rerolled in two different ways. 1) you pay gold and it rerolls a random element and can be done as many times as you like. 2) you can pay with service tokens and you have a choice of 3 elements to reroll. An ideal rune setup for us would be Fusion, earth, earth, fire, logic/Air. Both earths and one fire would be used for the devastation rune set. The remaining rune would be logic for your vigor rune or if you need strikethrough an air rune. You cannot put two divine runes with the same stats (two 120 divine runes) so you can't put in two divine earth crit sev runes of devastation. But you can put a level 100 pure rune of critical hit severity to complete your set. you lose a few stat points but its a much better gain doing it this way. Special: Deadly blows: when you critically hit with a direct damage attack, gain an empower for 5 seconds. Empower: Increases critical hit severity by 248. Stacks 5 times. Special: Barrage: When you Multi-Hit with a direct damage attack, gain an empower for 5 seconds. Empower: Increases Multi-Hit rating by 124. Stacks 5 times. Special: Flurry: When you critically hit with a direct damage attack, gain an empower for 5 seconds. Empower: Increases Multi-Hit rating by 124 stacks 5 times. When you Multi-Hit with a direct damage attack, gain and empower for 5 seconds. Empower: Increases critical Hit rate by 124 stacks 5 times. Special: Full Strength: Gain and empower based on your health. Empower: Increases Vigor rating by x and lifesteal by x. Special: True strike: When you land a direct damage attack, gain an empower for 5 seconds and apply an expose to the target for 5 seconds. Empower: Increases strikethrough rating by 500. Special: Shredder: When you land a direct hit, apply an expose to the target for 5 seconds and gain a stack of fury. Can only gain 1 stack of fury every 0.50 seconds. Fury: At 10 stacks, your next direct hit grants an empower for 5 seconds and removes all stacks. Empower: Increase Multi-Hit rating by 600. Special: Detonation: Your direct damage attacks have a 10% chance to Detonate, dealing technology damage to the target and 4 foes with 4m of the target. can only occur every 1 second. Special: Venom: Your direct damage attacks apply venom to the target. Venom deals 329 technology damage every 1 second for 5 seconds. Right now Detonation rune is the better for the Melee Build, It drops from the last boss of Skullcano veteran dungeon. Venom fusion rune is better for the ranged build. Can be crafted at the runecrafting vendor. These to rune sets should be used up to their 8 set bonuses. 4 set: Mental prowess: While above 3 Psi points gain an empower for 4 seconds. 8 set: Mental prowess: Creates a field that lasts 10 seconds. While in the field, consumers that deal damage reduce the cooldown on assault abilities by 2.5 seconds. 4 set: Fiendish: Upon generating a Psi point, gain an empower for 3 seconds. Empower: Increases magic damage dealt by 1% per stack. stacks 5 times. 8 set: Fiendish: At 3 or more stacks of fiendish, your Telekinetic Strike and Psychic Frenzy deal an additional 771 magic damage to foes. Devastation rune set is our main rune set apart from our two class sets and fusion runes. You should aim to get 6/6 on as many pieces as you can. Ideally you want two critical hit severity and one critical hit. Striker runes would be used if your using the Multi-Hit variation for the melee build. Otherwise stick with devastation. Onslaught will be used to round out our sets. Specifically exceptional Vigor or Strikethrough (if your under you are under your target cap) runes of onslaught. This rune set drops from the boss in a box hard mode Initialization Core Y-83 (aka Hardmentors) You would only use this set with the Multi-Hit melee build variation. (8) Showoff: triggering follow through increases Multi-Hit rating for you and 4 allies for 5 seconds. Amp Builds: These are the two main amp builds I am recommending depending on gear and stats. These are assuming you have full amp points. Figment amp build: Your standard amp build works with both ranged and melee builds. Allows for 2 open LAS slots for ranged build. Fixation Build: Used for the ranged build. Puts you on a 7 button LAS with 1 open. Base amp build for the newly raiding Esper that has yet to get any amp points. Depending on your strikethrough you can take one point from strikethrough and put it in Crit severity. Ability Builds: Some of the builds recommend assuming you have full ability points. The tried and true, TK strike, haunt and storm. This build is still solid and does good damage. T8 Telekinetic Strike, T8 Telekinetic Storm, T8 Haunt. Two open Las slots for Utility. Storm can be swapped out for Mind Burst for cleave. Ranged build with Fixation. Leaves one Las slot for Utility. Slightly more DPS than the normal storm build. T8 Telekinetic Strike, T8 Telekinetic Storm, T8 Haunt. Storm can be swapped out for Mind Burst for cleave. Melee build, Leaves one Las slot for Utility. Highest DPS build but a harder rotation to get high damage. T8 Psychic Frenzy, T8 Blade Dance, T8 Illusionary Blades. This is a build that I really enjoy because it has High Lifesteal and lots of CC. This can be used with either Psychic Frenzy for more lifesteal or TK strike for ranged Kiting. Honestly whichever style you like. Leveling build you would take T4 Spectral Swarm, T4 Psychic Frenzy, T4 Geist. For solo questing At level cap this is my most common questing build for daily quest or for soloing bigger mobs. For daily quests the amps you use for your regular PvE should suffice. The big thing with this build is using T8 geist to your advantage. You build a lot of initial snap threat through starting burst then pop your geist to take your threat away. It is really effective against larger/rare mobs. If you like using your CC spells a lot you can move around your amps a little bit to get Quick Response to help cut down on the cooldowns of your CC. Dungeons need a bit more coordination and usually set up cc/interrupt rotations on mobs. This is my most common spec for when running dungeons. I normally run with Tier 4 crush and incapacitate for 3 interrupts. On fights that don’t need interrupts you can switch them out for other utility like fade out or projected spirit. For this Dungeon build you would take T8 Telekinetic Strike, T8 Telekinetic storm, T4 Crush, T4 haunt. Freeform: Any castable ability that has a telegraph and can be aimed by the player. Mobile: Can be cast while moving. Self: Casts a spell on yourself, can also cast an AOE effect or summons pets. Stationary: Cannot be cast while moving. Spectral Form: Instant, self, 30 second cooldown. Grants absorb shield and generates 1 psi point every 1 second for 5 seconds. Additionally grants 1 interrupt armor for 5 seconds. When questing the shield can provide good amount of mitigation and helps you kill mobs faster. Combined with other abilities like crush and restraint it can make solo questing much more survivable and easy. In a raid setting Spectral form is a psi point generator and should be used on cooldown to generate as many psi points as possible. It should not be really used defensively for the shield or interrupt armor because it will not offset the DPS loss due to lack of psi point generation. If you are speced with the amp Not Snackworthy activating Spectral form will grant an empower that will increase your assault power by 10% for 5 seconds. Telekinetic Strike: 1.25 second cast, Range 30.0m, No cooldown, Freeform, Mobile. T4 deals additional magic damage while standing still for the full cast. T8 Grant yourself and Psi charge stack, at 3 stacks gain an additional Psi Point. Our ranged builder, very solid damage with good range and cleave. The tier 4 provides extra damage for standing still and the tier 8 gives us faster Psi Point generation. Psi charges can be tracked with addons to help with Psi Point management. Mind Burst: Instant, Range 25.0m freeform, needs 1 or more Psi Points, freeform, no cooldown. T4 On hit deals and additional 7% of the initial damage done over 4 seconds. Stacks 2 times. This is a finisher that uses up all of your Psi points on cast up to a maximum of 5 points. Also known as the bird. This finisher is great for cleave and burst damage. Can be very good on fights that have lots of MoO burst windows. The changes to Mind Burst for drop 6 single target damage went down. Concentrated Blade: Instant, Range 30.0m freeform, base recharge rate is 1 charge per 10 seconds, 3 second delay Psi Point given on impact. Freeform. T4 recharge rate upgraded to 2 per 12 seconds. T8 Increase charge count to 3 and the recharge rate is upgraded to 3 per 12 seconds. Each blade hit generates a Psi Point. This is a very interesting ability because it has a delay on the cast time. This ability alone can cause frustration to newer Espers because of the cast lag before you get a Psi Point. But I like the dynamic it gives the Esper rotation. At tier 8 it makes the rotation very challenging. The ideal time to cast this ability is during the global cooldown right after you cast a finisher. Blade Dance: 2 second channel, range 10.0m, needs 1 or more Psi Points, self cast, 15 second cooldown, self. T4 Pierces 40% armor and grants swiftness while channeling. T8 On channel end, deal an additional tick of damage. Swiftness: Increases movement speed by 20% while channeling. Blade Dance was changed to a finisher ability for drop 6. Its damage was improved and is increased even further with the Illusionary Blades buff. Unfortunately the two second channel makes this spell very clunky to use in a rotation. At times I found myself accidentally canceling the channel with other abilities that came up off of cooldown during the channel. With the fix to Blade Dance this has become our top DPS finisher if you have another Esper on Storm duty. Telekinetic Storm: Instant, Range 35.0m, Freeform, needs 1 or more Psi Points, Freeform, No cooldown. This is a finisher that uses up all of your Psi points on cast up to a maximum of 5 points. Conjures a storm that lasts for 7 seconds and deals damage once per second for the duration. Telekinetic storm is still our go to finisher. Armor Pierce on the Tier 4 makes it very strong against high armor mobs (raid bosses) The tier 8 provides the raid with the very needed deflect debuff. Should have at least one Esper running Storm. Psychic Frenzy: 0.50 second initial cast then multi tap, Range 10.0m, No cooldown, freeform, mobile. T4 Blades heal you for 25% of the damage they deal. T8 Grant yourself a Psi Charge stack, at 3 stacks gain an additional Psi Point. Our melee builder. Provides solid damage and some lifesteal. If you decide to use this ability I strongly suggest you use Hold to continue casting as it will make the ability fire much more smooth and consistent. This Ability has 3 charges, the first cast blade takes 0.50 seconds to cast. The first hit generates 1 Psi Point. The two remaining charges do not generate Psi points. Spectral Swarm: Instant, Range 25.0m, 12 second cooldown, self. T4 Phantoms gain 12% lifesteal and that health is transferred to you. The health is returned unmitigated. T8 On death, Phantoms deal magic damage to nearby foes. This spell is instant cast and off the GCD even at base the spell is worth having on your LAS and provides a lot of damage as well as building a Psi Point. The main problem with Spectral swarm they are pets and have a health pool so they are susceptible to dying to AOE damage which can reduce their effectiveness. T4 Reduced cast time by 0.50 seconds. Illusion: Deal additional magic damage with each hit of Psychic Frenzy or Blade Dance. Stacks 5 times. This ability has been changed to a melee ability that boosts our other melee damage skills. Each cast gives you one stack of Illusion that stacks to 5, gives increased damage per stack and lasts for 7 seconds. Haunt: Instant, Range 25.0m, 8 second cooldown, Freeform. T4 Grants and empower: Increases magic damage dealt by 6% for 5 seconds. T8 After using Haunt your next assault finisher will deal additional magic damage ever 1 second for 5 seconds. Generates a Psi Point and applies an Expose: Reduces magic mitigation by 6% for 6-10 seconds. The Tier 8 adds additional damage, combined with the Tier 4 extra damage it is a very solid spell to now have your bar. If you are not running the melee build this T8 is still does a solid amount of damage. Reap: Instant, Range 25.0m freeform, 8 second cooldown, Freeform. T4 Deal additional magic damage if your foe is below 30% health. T8 After a 3 second delay, Reap deals additional magic damage and generates a Psi Point. This spell is only usable above 2 Psi Points. Generates a Psi Point. This is another instant cast ability that is off the GCD. In general you will always keep this one at base since it does not provide enough of a benefit to take at higher tiers. The amount of times you cast it when a mob is at low health is very low which makes the Tier 4 lackluster. The Tier 8 Doesn't provide enough damage or psi points to take. Phantasmal Armor: Instant, Range 35.0m, 35 focus, Targeted, 45 second cooldown. T8 Cooldown reduced by 5s. Additionally grans 3 allies within 10m of the target and absorb. Gives a Shield absorb for 10 seconds and 1 interrupt armor for 5 seconds. This spell if used should only be used at base. This spell can provide a little bit of survivablity to you during high raid damage encounters where you have a LAS spot to spare. Pyrokinetic Flame: 1.25 second cast, Range 35.0m, 20 Focus, Freeform, 10 second cooldown, Mobile. T4 Allies healed gain an Empower: Increases assault and support power by 6% for 4 seconds. T8 Landing a hit applies a weaken: Foes hit have their assault and support power reduced by 6% for 4 seconds. Pyrokinetic Flame now shares a cooldown with Haunt so no longer should be taken. Usually If you have an Esper healer in raid they should be using this spell. Crush: Instant, Range 25.0m, 35 second cooldown, Freeform. T4 Destroys 2 interrupt armor. T8 Apply an expose: Reduces magic mitigation by 15% for 6 seconds. Destroys 1 interrupt armor and does a knockdown. Our go to CC ability and typically the one you will always have on your bar when you need an interrupt. The tier 4 is also very valuable on certain fights where interrupts are important. Geist: Instant, Range 25.0m, 25 second cooldown, Self. T4 Geist gains 60% lifesteal and that health is transferred to you unmitigated. T8 On summon, Geist takes 75% of your current Threat. Geist lasts for 15 seconds and generates 400% threat. Very good spell for soloing as the tier 8 allows a threat drop so the Geist can tank for you on harder hitting mobs. Also provides a 15% damage reduction. Restraint: Instant, Range 25.0m, 35 second cooldown, Freeform. T4 Cooldown reduced by 5 seconds. T8 Drain endurance each tick. Puts a field on the ground on top of a foe. Root: Prevents movement for 3 seconds. Our root, has good range and is instant cast which easily makes this our best leveling spell. In raids it can provide a small damage boost if you have a free LAS slot. Is very helpful to control adds when needed. Fade out: Instant, Range 15.0m, 30 second cooldown, Self. T4 Apply a weaken: Reduces Assault and Support power by 5% for 4 seconds. T8 Manifest and Illusion to distract foes for 4 seconds. Jump backwards 8m breaking all CC’s and pacify foes. Pacify: reduces damage dealt to the pacifier by 25% for 4 seconds. Standard CC break, can help on fights where there are stuns or disorient mechanics. Can also on occasion be used as a damage reduction tool depending on the fight. Fixation: Instant, Self, 1 minute cooldown. Used as a Psi point generator for the ranged build with a small amount of cooldown reduction. Catharsis: Instant, Range 25.0m, 30 focus, Freeform, 6 second cooldown. T8 Purge 2 debuffs from foes. This is our clense. Should only have to have this on your LAS for dispel intense fights where the healers are having a hard time keeping the raid cleansed of debuffs. Incapacitate: Instant, Range 30.0m, 40 second cooldown, Freeform. T8 If foes are casting, apply a Blind: Hinders vision and reduces hit chance by 20%. Apply a Subdue: Prevents ability usage for 4 seconds or till their weapon is recovered. Destroys 1 interrupt armor. Another good leveling spell to have on your bar for the disarm. However use this ability with caution in dungeons/raids as it can cause mobs to scatter all over the place to pick up their weapons and then watching your tank freak out cause the mobs are doing strange things. Shockwave: Instant, Range 10.0m, 30 second cooldown. T4 Apply a snare: Reduces movement speed by 15% for 4 seconds. T8 Break free from all CC effects. Apply a 12 meter knockback: Destroys 1 interrupt armor. A melee range CC, Not the best spell for leveling or dungeons since the knockback shockwave does can cause some problems. However its a very good cc for a fight like Ohmna since you can hit two worms or knockback adds away during transition phases. Projected Spirit: Instant, Range 20.0m, 48 focus, Self, 30 seconds cooldown. T4 Increases dash range by 5m and generates a Psi Point. T8 Grants a swiftness: Increases movement speed by 30% for 5 seconds. Projected spirit is your movement ability. Good range and a good self heal for fights. Just be careful using this spell through beams or over fire walls, seems to be a bit more prone to taking damage still if not used properly. Increases strikethrough chance by 1% per point for up to 3% strikethrough. 3% strikethrough for only 3 amps basically mandatory. Used in every standard build. Mandatory Amps 7.5% extra Assault Power? Yes please. Increases your armor pierce by 2% for up to 6% armor pierce. Armor pierce is very good against raid bosses and stacks with your storm armor pierce. Increases critical hit chance by 2% per point for up to 6% critical hit chance. solid increase for only 3 amp points. Increases critical hit severity by 4% per point for up to 12% critical hit severity. Finally critical hit severity is good for us to use these amps always. Increases lifesteal by 2% per point for up to 6% lifesteal. Beneficial to help give a bit of survive-ability, but more or less just used to get to The Humanity Amp. Reduces cooldowns by 5% per point for up to 15% coodown reduction. Most of our cooldowns are fairly short and the 15% usually only reduces our cooldowns by 1-2 seconds. These are the amps to take to get to Mental Overflow. Increases dash regeneration by 7% per point for up to 21% dash regeneration. Almost never invest points into this since you want to generally be standing still so dash regen is kind of pointless. Landing a 5 Psi Point assault finisher grants and empower for 8 seconds. Empower: Increases your Multi-Hit and Multi-Hit severity by 5% for 8 seconds. solid 5% increase in Multi-hit even though we don't stack it. still good to take. Landing an assault finisher grants and empower. Empower: Assault power is increased by 8% for 8 seconds. One of our best amps and a solid Assault power increase. While above 3 Psi Points gain an empower. This amp Gives us a lot of strikethrough and it stacks on top of our 5% storm deflect. With this amp you should almost never miss a finisher. It is very good especially at lower gear levels. Strikethrough caps are fairly easy to hit with gear and runes so this amp should be dropped for something else. While above 70% health, gain and empower. Don't take unnecessary damage and get free damage. Landing a finisher on a foe below 30% health deals an additional magic damage. This is essentially our Execute amp. It gives us extra damage on spells on mobs with low health. Usually accounts for 3-4% of our total damage for a fight. Taking damage has a 10% chance to generate a Psi Point. No just no. The proc chance is just too low and requires that you take damage. Just not worth it for the amp investment. Standing still for 1 second grants and empower. An amp that gives you a bonus for standing still. It is free damage so the better you can position yourself the more damage you can do. Whenever a finisher is deflected, gain 3 Psi Points. Can only occur every 5 seconds. Strikethough is easy enough to cap through gear and runes so you should not be missing finishers so this is another amp that really shouldn’t be taken. Activating spectral form grants and empower. Empower: Increases assault and support power by 10% for 5 seconds. This amp gives our innate a small assault power boost for a few seconds. It is not a huge amount and the short up time makes it a bit lackluster. But it is still a DPS increase. fits well with burst heavy fights with MoO damage. Landing a finisher grants and empower. Empower: the cast time of telekinetic strike is reduced by 0.25 seconds for 5 seconds. This can only occur every 15 seconds. This amp gives a slight increase to Telekinetic strike counts, taken if you are going the fixation amp route. Mental Overflow: For the next 8 seconds casting a finisher will consume Mental Overflow and 1 Psi Point Per stack. Stacks 2 times. There is no reason not to take this amp now that most of the bugs with it seem to be fixed. Allows us a solid amount of flexibility on our psi point management. Landing a critical hit with a finisher grants a 100% chance to reduce your cooldowns by 55% This can only occur every 15 seconds. Most of our ability cooldowns are fairly short so the reduction that this amp gives is not that great. It also only reduces the current amount of time left on the cooldown by 55%. The 15 second cooldown is also very detrimental. The amp is just not worth taking in its current state unless for some reason you run into a fight with very heavy cc requirements which does not exist in the current raid environment. While above 70% health, damaging a foe has a 20% chance to manifest a figment that deals magic damage for 10 seconds. Can only occur every 10 seconds. Figment can make up about 2-3% extra damage and is worth taking if you can hit your strikethrough caps. Landing a critical hit with a builder has a 100% chance to generate 1 Psi Point. This can only occur every 5 seconds. Under perfect conditions this amp can produce up to 12 extra psi points per minute and while the 5 second cooldown makes the psi points a little bit more predictable. However its hard to justify the amp points needed to get to this amp at the moment. When you hit level 50 you have a base amount of amp and ability points. 47 Amp points and 41 Ability points. You can have a maximum of 57 Amp points and 48 Ability points. Right now it is easier than ever to gain these points to make your character even stronger. There are multiple ways to gain these points, such as dungeons, adventures, reputation, PvE renown and PvP prestige. They also have a chance to drop from mobs and even raid bosses. What are you waiting for and get them points maxed out! These are our Two main builders. One ranged and one melee. they are similar in damage when compared directly with each other. Frenzy starts to take the lead when being buffed with Illusionary blades and really goes well with our fiendish class set. It is also worth noting that since Frenzy hits more often than it is much better for on proc items such as our fusion runes and set bonuses. Telekinetic storm is still a strong finisher due to the armor pierce and general damage output along with the much needed deflect debuff. Mind Burst does have its place though in heavy cleave and burst fights. Blade Dance has been buffed and is even better with Illusionary blades the two second channel makes it very clunky to run in a rotation but is currently our top DPS finisher if you have another Esper in raid to run the storm debuff. Haunt is always just a solid psi point builder and debuff and is generally good to be using even at base. 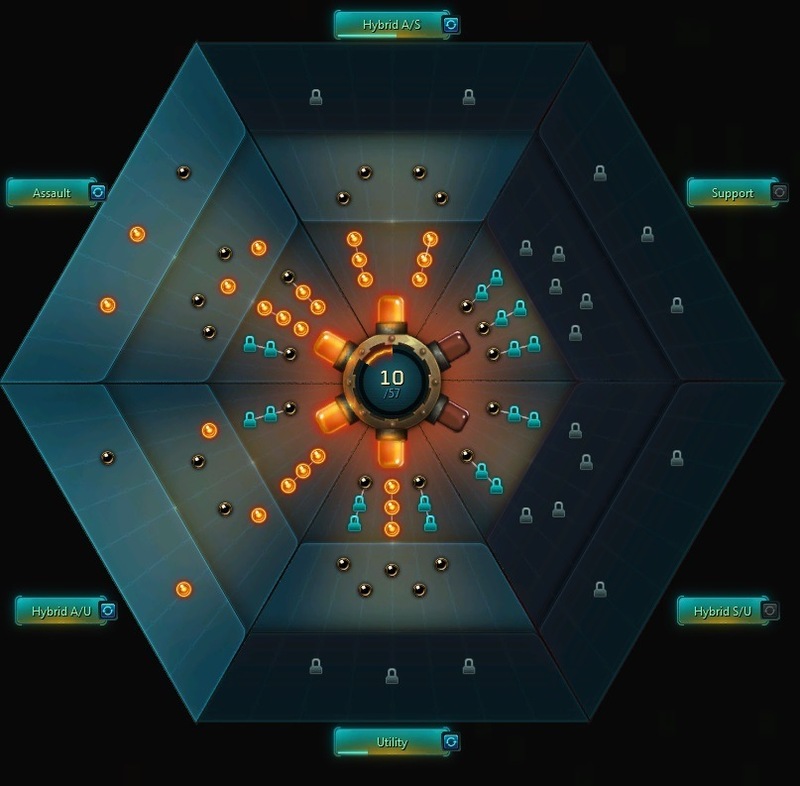 Swarm is always good to have at base but really lacks the damage to take at tier 8. Concentrated Blades T8 adds a lot of psi points which can add more finishers but doesn't give quite enough to make it compete. Ilusionary blades was completely revamp for drop 6 and does good damage at tier 8. It is the main ability that makes the melee build work and adds complexity to the Esper rotation. The buff from the amp Tactician. Limiting your movement to keep your buffs up and staying within range of group buffs can be very challenging. You should always be thinking two steps ahead of where you are at and where you will need to be to keep up your damage. This option will allow you to continually cast a spell if the button is held down. This can decrease the gap between spell casts and increase your up time. This allows us to do a technique known as rollover. If you accidentally hit 5 Psi Points and are already casting another Telekinetic strike you can hold your finisher button down to que it and as soon as the strike finishes it will cast your finisher before the strike hits the target so you will hit with a 5 point finisher and have the Psi Point from the strike you just cast count on your next rotation cycle. If you have not already, I recommend rebinding your dash ability to another key. While you can play with the double tap on, I have seen on many occasions where you accidentally dash when you didn’t mean to and get yourself killed. I use Buffmaster specifically to track tech pots, cleaves and drains. One of the best addons you can have, allows you to clearly see an interruptable cast bar as well the amount of armor. 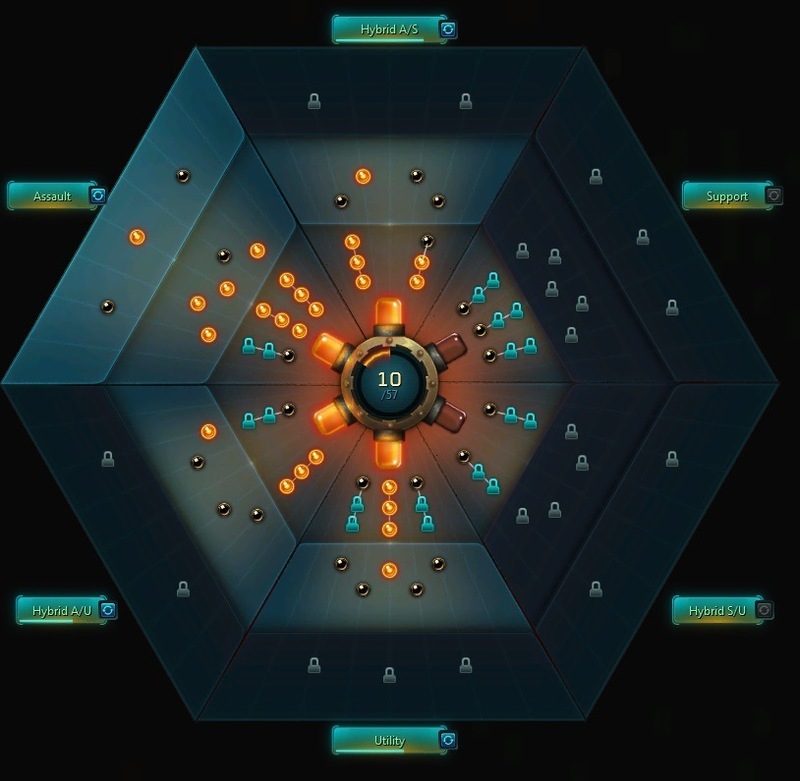 LUI Aura is an updated version of Aura Mastery. A bit easier to use and less resource heavy than AM. Allows you to track buffs, debuffs, cooldowns as needed. Standard threat meter, very much needed even if you don't think you will pull threat. A very handy addon that helps doing tapping events or simon says. Helps organize and plan out your runesets. Even gives you lists of items to buy and will also make your runes and set them in gear. Potato UI is a customizable replacement for the default carbine UI. This is a plate mod works with the default nameplates and adds some additional features such as interrupt armor. Your in game damage meter and healing meter. Another handy addon that allows you to quickly vendor all gray items or other items depending on quality threshold. If you are planning on using logs for raids. This site is the single best site used to log your damage. It works much like your DPS Meter but records everything in much more detail. If your guild does not use Wildstar logs to record your guild logs I highly recommend you start. The big thing to look at when comparing your logs to other Espers is not the damage they are doing but how many casts of the various abilities they are making compared to yours. Last edited by daruka on Mon Jun 13, 2016 2:29 am, edited 74 times in total. If you use my auras and find they are a bit larger than they look in the screen shot, I have a different UI scale setup. If you are using a 1920x1080 resolution monitor you can downscale your UI from 1.0 to 0.75 to get the same portions as what I have. How to import the codes: Open show spoiler button copy the text to your clipboard and ingame hit the import button and you are done. Last edited by daruka on Mon Jul 11, 2016 11:29 pm, edited 12 times in total. Last edited by daruka on Wed Jun 08, 2016 2:19 am, edited 4 times in total. Waiting for drop 6 guide Daruka !! Thank you for updating the guide! Been looking forward to reading it. I was wondering which camp you would come out in CritSev or Vigor after the crit hit soft cap. It appears you went with the crit sev priority. Did you see a significant increase vs vigor build? I am using that now to test (no raid testing yet just dungeons and dummies). I have my rune set priority swapped (onslaught most pieces for vigor, dev to fill in) and am using True Stike, Flurry (which I Was thinking of dropping for Full Strength if I Can hit 24% crit with the dev runes), Untouchable, and Siphon. I was thinking that setup might make for some more interesting game play with pre casting PA, monitoring health, moving early to avoid things (as should always be done, but more crucial now), using SF as an absorb primarily, etc. Unfortunately it's impossible to get a good test set from the dummy, as the vigor will make your dps meters look OP af. Assuming you have tried both builds and considered the vigor priority, do you think this setup would be anywhere close to that of the priority you suggest? Assuming perfect mechanics and a relatively low amount of damage taken during a fight. Also I am happy to see your suggestion for TkS vs PF. Though you provide both. Esper melee just feels weird to me. Range esper ftw! Currently I Am not using any of the class sets as we have not been into raid to grab any, but I am wondering your thoughts on the early talk of "needing" to take T8 CB for fiendish. I never got around to testing that on the PTR before the launch and obviously I can't now. It seems like the CDs should work out to where you only need two charges cast after the finishers to keep it up, but wanted to confirm that you weren't changing to T8 CB with fiendish. Spec into crit sev > crit? Don't you need crit in general for crit sev? Just wondering why we go for crit severity over vigor, thanks in advance! I did testing on many different stat setups and found that the builds that focused on critical hit severity consistently were higher on test parses. Which is why i went for crit sev>vigor> multi-hit. The set bonuses for fiendish were changed. 8 set: Fiendish: At 3 or more stacks of findish, your Telekinetic Strike and Psychic Frenzy deal an additional 771 magic damage to foes. 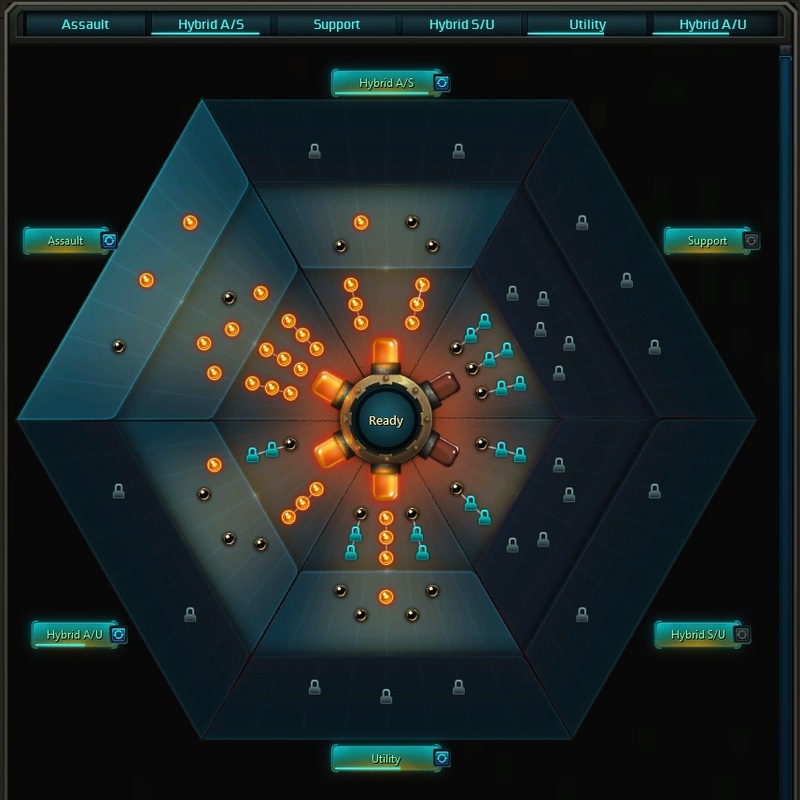 Not sure if you want to add this Daruka or if anyone else is interested but i made Special Esper Psy Point Aura using LUI AURA http://www.curse.com/ws-addons/wildstar/232929-lui-aurafor Dcarter. How does the skullcano rune compare to the venom rune? Is it better until i get divine venom? The word on the street is it is higher damage but has more RNG involved to be higher. I have not been able to get one to test however. Hi, first of all just wanted to say thank you for this guide, it has been quite helpful, I just have a couple questions that I would love if anyone in this thread could clear up for me. I am quite familiar with the concept with a priority rotation, is all of the rotation list listed in clear order of importance? If so, does that mean we always cast Haunt/Reap/Spectral Swarm on CD even if it means we're at full psi points and will eat up a build up charge? Or does this fall into a sort of sub-priority where we dump our points no matter what to not waste the build up of the other abilities? I hope I explained my question clearly, and I thank anyone for any answers they may have. The priority that i posted is pretty close to ideal although haunt at T8 is probably more important to keep cast on cooldown because its cast can be affected by the 1 second GCD of your finisher. Also Haunt T4 gives a 6% damage increase for 5 seconds, so the better uptime is more damage. But those 3 abilities should generally always be kept on cooldown as much as possible. I'm not entirely sure what you mean by build up charge (Mental overflow stacks maybe?) With Mental Overflow amp it basically raises our Psi point cap to 7 points. Every Psi point over 5 gives a stack of Mental Overflow up to 2 stacks. Once a finisher is cast any stacks of Mental Overflow are converted to Psi points toward the next 5 point cycle. This basically allows us breathing room to spam all of our abilities on cooldown without wasting Psi Points. So you should not have issues with wasted Psi points. Added Addon section and Added LUI aura codes. daruka wrote: The word on the street is it is higher damage but has more RNG involved to be higher. I have not been able to get one to test however. We did several rounds of testing between the trinkets, venom, and siphon. Venom came out ahead of the rest for TkStrike/TkStorm. We did not test PF/IB. I have tried everything now and I cant seem to get LUI aura to work with the haunt code you linked. Venom in general was the stronger of the weapon fusions. My previous comment was more pertaining to the mordechai redmoon fusion rune. On that note however I do feel that Mordechai fusion is actually less DPS than Venom due to the way it procs for esper DPS. zipain wrote: I have tried everything now and I cant seem to get LUI aura to work with the haunt code you linked. Zipain it looks like the issue is in the newer version of LUI Aura. I will have to see if i can find a fix on the newer version. For a temp fix I recommend installing an older version of the addon and it should work. Did you find a fix for the luiaura ? I am still looking for a way to get it working in the newer version, I will try to sort it out this weekend.